Thought you'd enjoy seeing this, a custom HP Velotechnik Gekko fx with black matte paint, carbon fiber front boom and fenders, SON dynohub with B&M IQ Fly, 81-speed Shimano XT/SRAM DualDrive drivetrain, Avid BB7 disk brakes, rear rack...and more. The result? It's light, fast, handles like a dream, folds into a tiny package and is still as practical as all get out. Escape New York Registration Now Open! 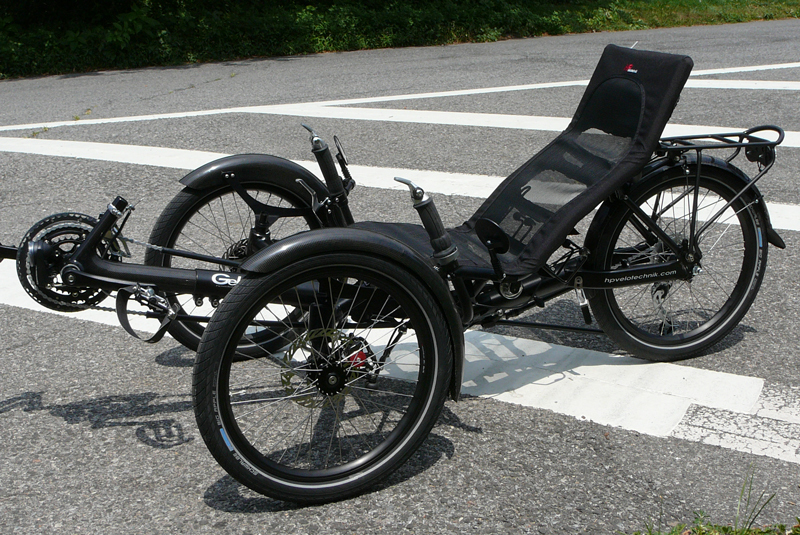 Of course recumbents do hills. Riding a Cruzbike: easy for some.